Ida Mae Cummings was born on Friday, June 12, 1931 in Davisboro, Washington County, Georgia to the parentage of James Harmon and Viola Hilson Cordy. 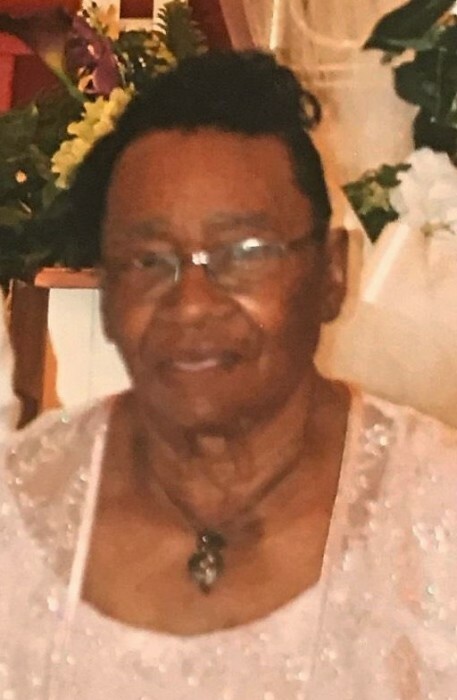 Ida Mae began her Christian life at Brinson Hill Baptist Church where she served on the Usher Board and later joined Kingdom Life Fellowship Ministries of Wadley where she served on the Usher and Missionary Boards and was a member of the Benevolent Ministry. Ida Cummings grew up in Wadley and was educated in the Jefferson County Public School System. She was employed, as a seamstress at the former Hooks Dry Cleaners in Wadley. She was also employed as a seamstress with Oxford, Wadley Shirt Company, for over 15 years. Ida Mae worked for the Jefferson County Public School System, as a cook, for more than 15 years, retiring on June 30, 2003. She was united in holy matrimony to James Roger Boston in 1948. They were happily married for 10 years. Ida Mae later wed Tommie Lee Cummings. Ida Mae was a loving mother, grandmother, sister and friend. She was preceded in death by her parents, James Harmon and Viola Hilson Cordy, her spouses, James Roger Boston and Tommie Lee Cummings; her children, Jennette Boston, Priscilla Cummings, Isaiah Boston, Leon Cummings, Velton J. Harmon, Melvin Lee Cummings and Cheryl Lavon Cummings Butts and her sibblings, Mayola, Carolyn, Joshua, John, Harold and Nathanial Cordy. The memory of Ida Mae Cummings will continue to live in the hearts of her children, Johnnie Boston and Viola Cummings, Wadley, Georgia; Willie (Lillie) Boston and Tony (Monica) Cummings, Hephzibah, Georgia, Larris Boston, Sr., Jacksonville, Florida, Terry (Brenda) Cummings, Fayetteville, North Carolina, Mary Boston, Lithonia, Georgia and Ida Scott, Savannah, Georgia; her sibblings, Vivian Cordy Brookins, Wadley, Georgia and Clarence (Kathy) Cordy, Kingsland, Georgia; three aunts, Eula Mae Johnson, Delray Beach, Florida, Blanche Daniels, Brooklyn, New York and Ida Myrtle Daniels, Middletown, New York; twenty nine grandchildren ( including Eustache Cummings, Jacqueline Trimble, Jawan Thompson, Sr., Keydarius Oliver and Jawan Thompson, Jr, who were reared as her own) twenty-one great grandchildren, three great-great grandchildren and a host of nieces, nephews, cousins, other relatives and friends.